When he was considering where to attend college, Florida State University senior Terry Beck wanted a place to grow and build the skills necessary to pursue his dream of becoming a filmmaker. He thought he would have to attend a school in New York or California, but as soon as the Wisconsin native saw FSU had a highly esteemed and intensive motion picture arts program, he knew he had to be part of it. 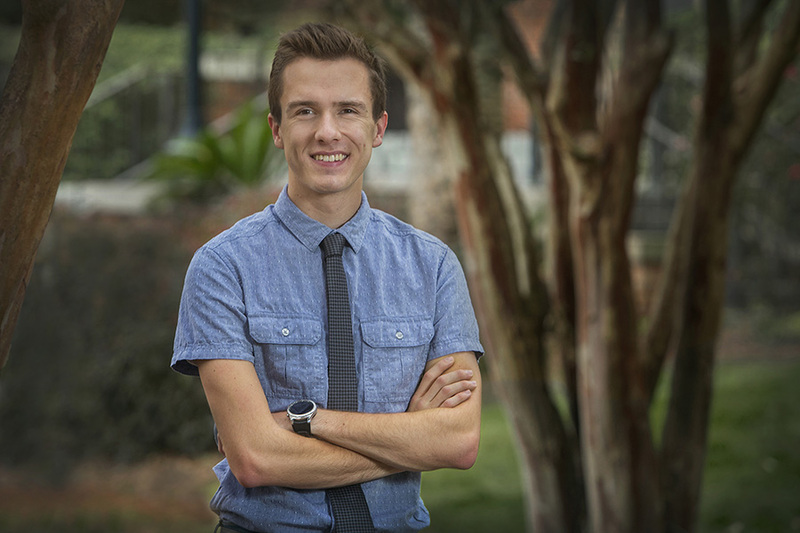 The motion picture arts major has made the most of his time on campus, becoming an advocate for social justice through film. He began his film career at FSU creating a personal documentary called “Us Thereafter,” which shared the story of one a high school friend’s murder and her father’s mission to spread love over hate by sharing his daughter’s legacy. Beck worked alongside film professors Ian Weir and Valliere Auzenne, who helped him to professionally execute and edit his film. Beck’s was nominated for the President’s Humanitarian of the Year Award for his dedication to social justice through the film by the College of Motion Picture Arts, as well as for the FSU Global Citizen Award. Beck’s love for the arts doesn’t stop at film. He also has a love for music and was a member of the world-renowned FSU Marching Chiefs. When Beck isn’t behind the camera, he is front and center on stage with “No Bears Allowed,” an improvisational comedy troupe on campus. The troupe also raises money for different charities through shows and bake sales. Beck also dedicates his time to a cause that he has personally been affected by since he was a child — juvenile idiopathic arthritis. Even though he is currently in remission, Beck still serves as an advocate for this disease. Over the past 10 summers, Beck attended Camp M.A.S.H., (Make Arthritis Stop Hurting) as a camper and volunteer counselor. Located in his home state of Wisconsin, the camp serves as a weeklong respite and summer getaway for children and teens who suffer from arthritis or a related chronic condition. After graduation, Beck plans to continue learning about the film industry, focusing primarily on directing and producing as potential career paths.